Mr Murphy said the cross-breeding was not intentional. He described it as a "pure shock to the system" and said it would be a "one-off" event on his farm. "I've never seem anything like him before," he said, adding that his family had been involved in sheep farming for "generations". Mr Murphy confirmed that the geep appeared to be healthy and "thriving" and was able to run faster than other lambs that were born around the same time. "He's unbelievable," he said. "He's so fast you'd have to get him into the pen to catch him. There's no chance you would catch him otherwise." 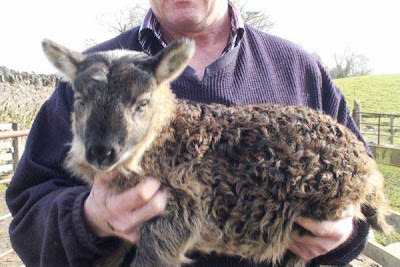 He said he witnessed a goat mating with ewes on his farm during "tupping" season five months ago, but had given the matter little thought until the geep appeared. Mr Murphy said the ewe in question was raising the geep "just like a lamb". 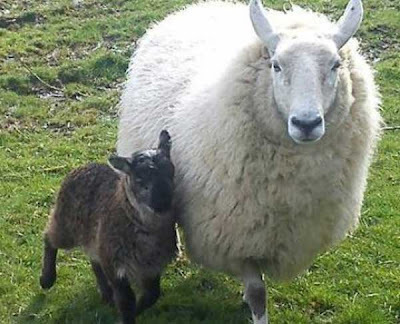 As for the hybrid animal's future, the farmer said he was not planning to send the geep for slaughter but would try to keep it for as long as it was practically possible to look after it.